Dr. Tyler Scott and Dr. Darrel Scott are committed to providing excellence in dentistry, and each stands out as a leading dentist serving Loudonville, Perrysville, Mansfield, Millersburg, Ashland, Wooster, Mt. Vernon, and surrounding areas. They use the latest in dentistry techniques to provide you with a beautiful and healthy smile. Additionally, Dr. Tyler Scott and Dr. Darrel Scott believe strongly in education to prevent oral health problems before they occur, and makes sure to keep patients fully informed about their dental health. 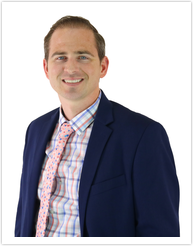 Read more about Loudonville dentists Dr. Tyler Scott and Dr. Darrel Scott by below. 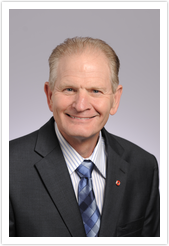 As the founder of Scott Dental Group, LLC, Dr. Darrel Scott graduated from the Ohio State University College of Dentistry in 1977. He also spent 3 years in the Air Force specializing in general dentistry. Dr. Scott also received dental implant training at the Midwest Implant Institute in Columbus, Ohio. Dr. Scott is also an active member of the American Dental Association. While not in the office, Dr. Scott enjoys spending time with his wife, Deborah. He also has two sons and six grandchildren. A 2009 Graduate of the Ohio State University College of Dentistry, Tyler Scott has been practicing at Scott Dental Group, LLC for the past six years. He practices general dentistry with an interest in implant dentistry, IV sedation, TMJ treatment and Sleep Apnea. He is active member of the Academy of General Dentistry and American Dentistry Assocation. He is also the current president of the Central Ohio Dental Association and Vice President of the Ohio Academy of General Dentistry. Dr. Scott also serves on the Dental Practice national council for the American Academy of General Dentistry. He also enjoys teaching dentistry as he was a lecturer at the 2012 American Dental Association meeting in San Francisco. Dr. Tyler Scot also has his IV sedation permit from the Ohio State Dental Board. He also recently finished a mini residency program in Sleep-Related Breathing Disorders and Craniofacial Pain at the University of Tenessee. Outside of the office, Dr. Scott enjoys spending time with his twins, Ava and Ella, Liam and his wife, Paola. He also spends time golfing and officiating high school wrestling in Central Ohio.